Discover the Spartan Race 2019 passes ! The Spartan Race Pass allow you to get the best prices for the races of your choise*. Choose the three format of Spartan Race during the same event to complete your trifecta weekend* ! Always the best race price all year long ! Choose all the race that you want in the following country (France, Italy, Spain, Germany, Netherland, Austria) to complete your trifecta in 2019** ! Always the best race price all year long, offer available from 3 races, the more your register to races, the more you get discouts ! Run all the distance (Sprint, Super, Beast or Ultra) of your choice in all Europe** ! An epic experience with all the racers arround Europe. 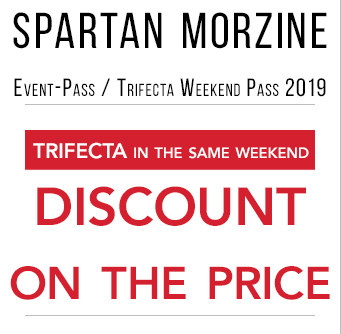 *PASS TRIFECTA WEEKEND AND TRIFECTA EURO Valid for 2019 events ONLY within one year from the date of purchase (2018 or 2019). Participants will be required to pay the registration fee and may also pay for insurance or medal engraving separately during registration. The use of the Pass is strictly limited to the owner of the Pass. To deferal the registration please check our FAQ’s. PASS TRIFECTA FRANCE does not guarantee a place in the wave of your choice, it depends on the availability of the waves at the time of inscription. 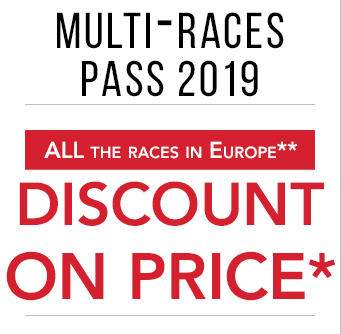 **MULTI RACE PASS 2019 is valid for 2019 events ONLY within one year from the date of purchase (2018 or 2019) in the following country : France, Italy, Spain, Germany, Austria, Netherland. Participants will be required to pay the registration fee and may also pay for insurance or medal engraving separately during registration. The use of the Pass is strictly limited to the owner of the Pass. To deferal the registration please check our FAQ’s. Multi Race Pass 2019 does not guarantee a place in the wave of your choice, it depends on the availability of the waves at the time of inscription. The Multi- Race Pass is available until exhaustion. You can at any time defer your entry following the general deferral rules. ***SEASON PASS FRANCE 2019 valid for events within one year from the date of purchase (2018 or 2019). 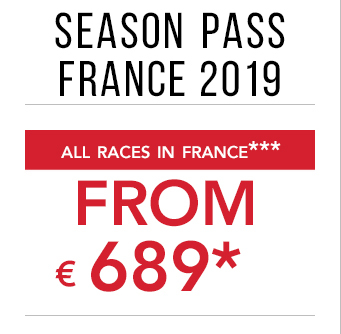 SEASON PASS FRANCE 2019 valid only for events in France and Andorra on several destinations. 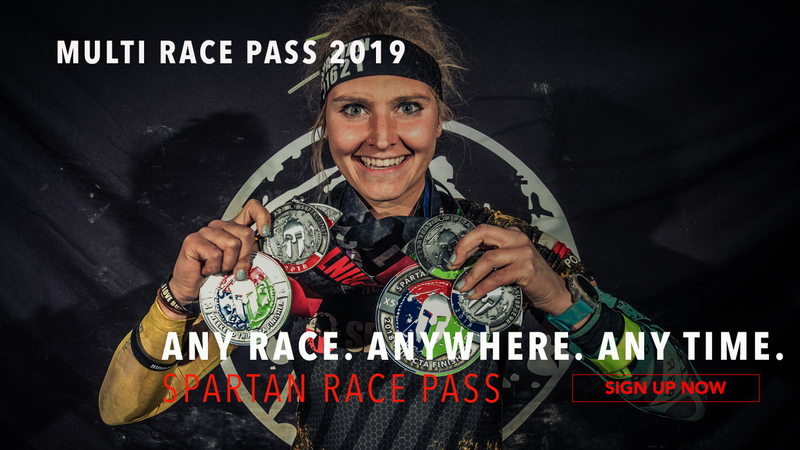 The SEASON PASS FRANCE 2019 can not be used to register for certain special events such as Kids Spartan Race, Ultra, Spartan Stadium. Participants will be required to pay the registration fee and may also pay for insurance or medal engraving separately during registration. The use of the Pass is strictly limited to the owner of the Pass. The SEASON PASS FRANCE 2019 does not guarantee a place in the wave of your choice, it depends on the availability of the waves at the time of inscription. Once registered via Chronotrack, any registration through your account will unlock member access and down to 0. THE MORE YOU RUN, THE MORE YOU HEARN CREDITS ! Find the Pass Spartan Race 2019 ! What’s better than the PASS SPARTAN RACE FRANCE 2019 to select the races that interest you ?